Visit to the John Lakeland Collection at Kilsyth. 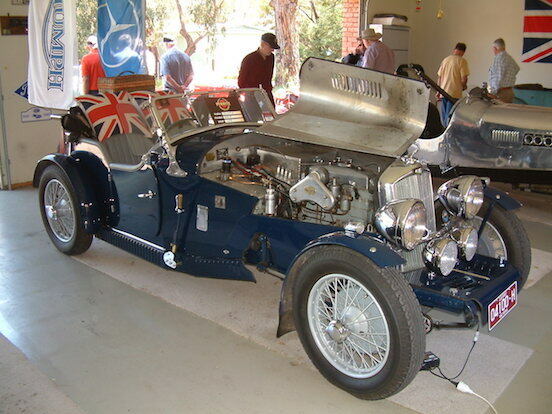 As a result of a friend Christopher who we met on the RACV Fly the Flag Tour, our club was invited to visit John Lakeland’s collection of pre-war Triumph and Riley vehicles. On Sunday 11th November after the Breakfast Club, a convoy of some 20 cars left Warragul, and journeyed to Kilsyth via Neerim, Nayook, Powelltown and Seville, meeting a few more club members at the venue. Our hosts, John and Kerry Lakeland indicated they would provide Tea and Coffee, which was very kind of them, however I certainly was not prepared for the spread of sandwiches, party pies and sausage rolls, not to mention homemade yo yo biscuits. John and Kerry really went above and beyond the call, which was very hospitable and greatly appreciated by our members. After the aforementioned morning tea John showed us his Bar which was the former club rooms of a certain bikie gang, the bar also has the signature of Lionel Rose which must have been signed whilst our Lionel was in the prone position. John continued to show us through his workshop and into the main collection, explaining a brief history of all his cars, which was quite interesting, ranging from early Triumphs and Rileys to a replica Mercedes SS. 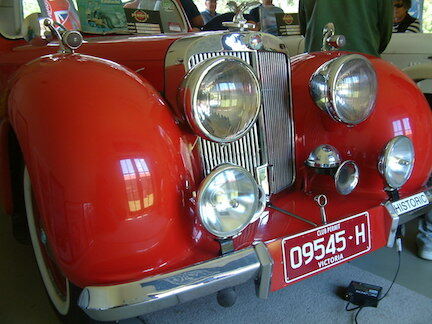 I was particularly taken with his Riley Special race car in which he competes regularly at Rob Roy Hill Climb. I am always left in awe of early drivers who battled these cars which lacked the handling and brakes of modern cars but still sported engines with not inconsiderable horse power. The ladies were also looked after as Kerry showed our girls a display of intricately detailed Dolls Houses which were built by her late mother. They were inhabited by figures dressed in period costume, with period furniture and even working lights in the rooms. 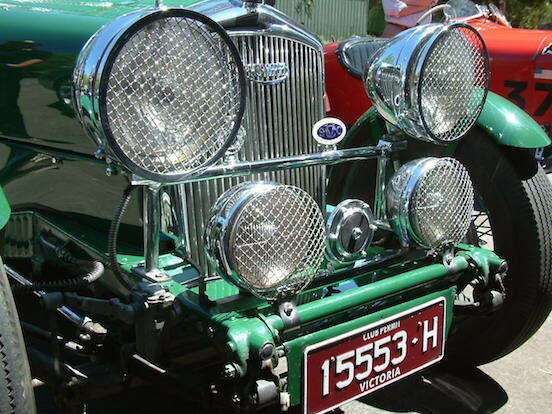 Whilst many of John’s cars are in beautiful condition, he says they are not concourse. They do have stone chips and the odd minor scratch, because they are all driven! And that is precisely what they were built for. Words by Allan Richards, photos by Bernard Doherty and Steve Schmidt.